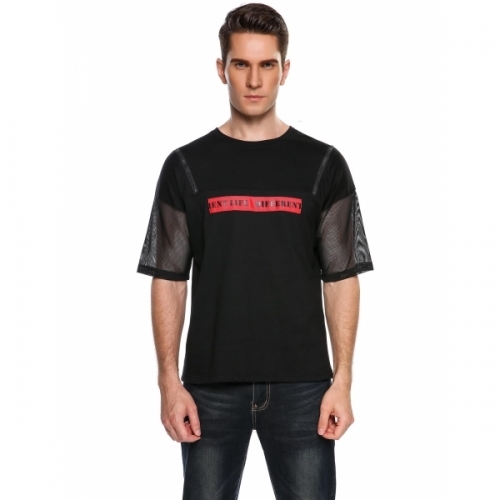 O-neck and sheer mesh patchwork short sleeve. Casual t-shirt, contrast color letter patchwork, zipper décor. Comfortable to wear, pull on closure.